I cried. But I loved the ending. 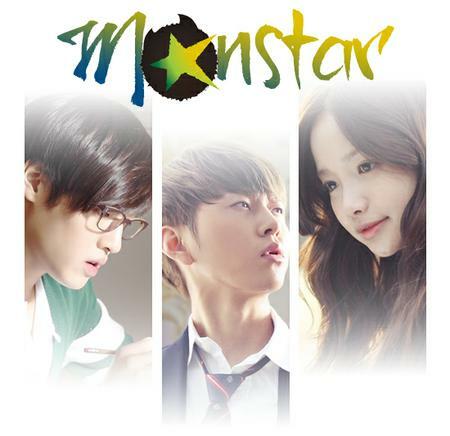 Monstar aired its finale last Friday and I am far from disappointed with how this show decided to end things. I know some have found the ending less than satisfactory, however I felt as though it flowed beautifully given the overall tone of the show. After you watch the finale check out Drama Club: Monstar as we review the final episode and say a heartfelt goodbye to this coming of age tale. On a personal note: I have to say, as this show comes to an end, that I have had a great time reviewing this series with two talented bloggers- E-Kun and Cypsis. I will miss our drama club but look forward to our future collaborations together. You both brought great insight and perspective to Monstar and I am extremely lucky to have indulged in this show alongside both of you! « Good Doctor: Check it out!